Bible Reference: Esther chapters 2, 4, 6; 8:1-3, 15-17; 9:29-32; chapter 10. Heart of the Story: Mordecai was Queen Esther’s cousin. Through his persistence, the lives of all Jews in the Persian Empire were saved. Back Story: Mordecai was a Jew who lived in Susa. He was from the tribe of Benjamin. Nebuchadnezzar took Mordecai into captivity at the same time as King Jehoiachin of Judah. 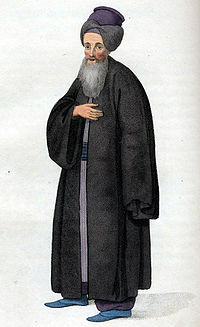 Possibly, Mordecai was an extended member of the royal family of Judah. Mordecai reared their daughter, Esther, when Esther’s parent died. Mordecai and Esther were cousins. When King Xerxes searched for a new Queen, the most beautiful women in the Persian Empire were taken to the Susa palace. Esther was also taken from Mordecai’s home into the Susa palace. Mordecai instructed Esther not to tell anyone that she was a Jew and Esther obeyed him. King Xerxes chose Esther to be his queen. Story Line: One day while Mordecai was seated at the king’s gate, he overheard two of the king’s officers (Bigthana and Teresh) plotting to kill King Xerxes. He reported their plans to Esther and Esther reported them to King Xerxes, being careful to give Mordecai credit for uncovering the plot. The conspirators were arrested. After their guilt was determined, they were hanged. At that time, King Xerxes didn’t reward Mordecai for uncovering or reporting the plot. Later King Xerxes issued an edict to murder all Jews in the Empire. Hamon, Xerxes’s chief advisor, convinced the king that the Jew were a threat to national unity. Mordecai found out about the future pogrom and told Queen Esther that she must take action to prevent the deaths of her people, the Jews. After three days of fasting and prayer by Mordecai and Susa Jews and Queen Esther and the Queen’s court, Esther invited King Xerxes and Hamon for two elaborate banquets. Before the banquet could be held, two important events occurred in Susa. First, King Xerxes became aware that he never honored Mordecai for saving his like. To make amends the king clothed Mordecai in his own robes, placed Mordecai on one of the king’s horses and had Hamon (his chief advisor) lead the horse with Mordecai on it through the Susa streets proclaiming, “This is what is done for the man the king delights to honor.” Second, Hamon who hated Mordecai built a 75 foot gallows to hang Mordecai on. At the second banquet that Esther gave for King Xerxes and Hamon, Esther told King Xerxes about Hamon’s plan to kill all Jews which included herself. King Xerxes was furious and had Hamon hung on the very gallows Hamon had built for Mordecai. King Xerxes gave Hamon’s estate to Queen Esther. King Xerxes directed Mordecai to write another edict to undo the previous edict that ordered all the Jews in the Empire killed. Mordecai ‘s edict signed by the king allowed Jews throughout the Empire to annihilate the armed forces of any nationality or province that might attack them and their families; further the Jews could plunder the property of their enemies. The result was that the Jews throughout the Persian Empire triumphed over their enemies, killing 75,000 of them. Further, the Jews in Susa killed all 10 of Hamon’s sons. The Jews took none of the plunder from their adversaries. After all of these events, Mordecai was placed in a position second only to King Xerxes in the Persian Kingdom. Perhaps Mordecai was prescient (far seeing in the future) when he advised Esther not to tell anyone in the king’s palace that she was a Jew. Esther initial concealing her nationality facilitated her being in a position to help Jews throughout the Persian Empire. Mordecai was loyal to King Xerxes. He followed the prophet Jeremiah’s instruction to “seek the peace and prosperity of the city to which I have carried you” (Jeremiah 29:7) when he notified Esther about the plot on Xerxes life. Acts of extreme loyalty to the king such as Mordecai reporting a plot on King Xerxes were ordinarily rewarded immediately and generously by Persian kings. Why Mordecai’s was overlooked is not known. Importantly, when King Xerxes later became aware of Mordecai’s foiling a murder attempt against him, King Xerxes rewarded Mordecai with having Mordecai wear the king’s own garments. In ancient times great significance was attached to wearing the king’s clothes; that is, the wearer shared the king’s power, stature, and honor. The recorder of the book of Esther noted at least three places that in the edict that Mordecai wrote on behalf of King Xerxes that the Jews could take any plunder from the individuals who threatened them and that they killed. A rule of ancient Jewish holy was that plunder not be taken (Genesis chapter 14); thus, the Jews took none of their enemy’s plunder. Mordecai sent an announcement to Jews throughout the Persian Empire to annually celebrate the 14 and 15 days of Adar because these were days the Jews got relief from their enemies. Jews in the 21st century still celebrate this holiday, called Purim. Purim means “lot” because Haman determined the day he would have all Jews in the Persian Empire killed by “lot”. Reflection: In 2011, Israel and the United States were not getting along well. The Jewish prime minister made a state visit to the United States and brought with him a gift for President Obama. Israel. It was a hand written copy of the book of Esther. To me that particular gift had significance, that is, enemies of the Jewish state do not prosper. Do you think giving this book was a coincidence or did it have meaning to the giver? Copyright: February 9, 2017; Carolyn A. Roth. This entry was posted in Kings & Rulers and tagged Bible Study, Carolyn Roth Ministry, Esther, Hamon, Jewish Captivity, King Xerxes, Lesser Known Bible Characters, Mordecai, Obscure Characters, Persian Empire. Bookmark the permalink.